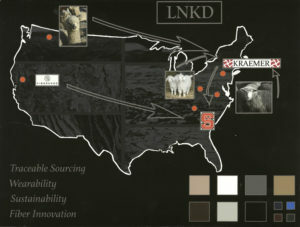 “Linked” is a fabric collection that focuses on sustainability and traceability. In today’s world of fast fashion and the ever-changing textile industry, fabrics are easily tossed aside for new styles. 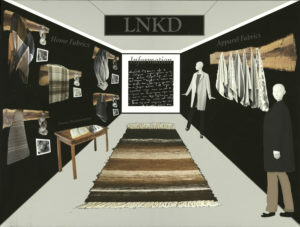 The collection focuses on linking and understanding the beginning of the product life cycle to the end. The fabric is made from locally sourced Alpaca, Mohair, and Wool. The design process begun at the fiber level and was followed through spinning, finishing, and fabric engineering. A neutral color palette makes the fabrics timeless and effortless. “Linked” is a designer’s perspective to the boundless issue of sustainability that plagues our industry.